you don't have to make your own garlic butter (or indeed use garlic butter - regular butter, or dairy alternative is fine too.) but if you want to here's how I did it. 1 cut the top of a bulb of garlic. drizzle with a little olive oil & place in a preheated oven (180c) for about 45 mins. should come out looking something like this. 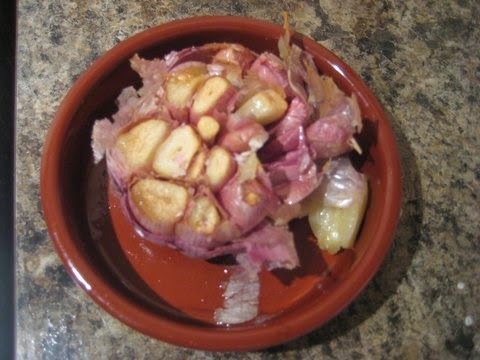 2 Then you squeeze the garlic cloves out of their skins. They should be soft & deliciously sweet from roasting. leave to cool. 3 Once cool, mix 2 garlic cloves with 100g unsalted butter that has been out of the fridge for a while so it's softened and ready to blend. (I used a hand blender) you can also add salt, pepper, parsley or any other flavourings. 5 heat 1 tablespoon light olive oil (or rapeseed oil, coconut oil, butter) & 1 tablespoon water in a frying pan. Stir fry the mushrooms over a medium heat for a few minutes until they are softened and starting to brown. 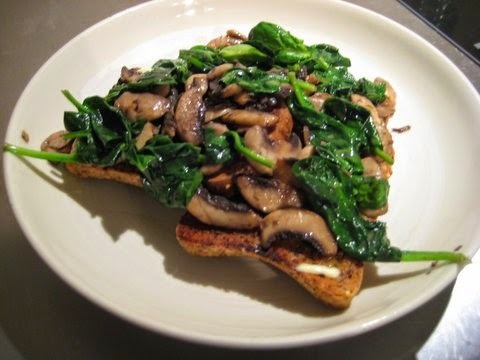 if the pan gets too dry and the mushrooms aren't cooked, just add a little more water. once cooked set to one side. 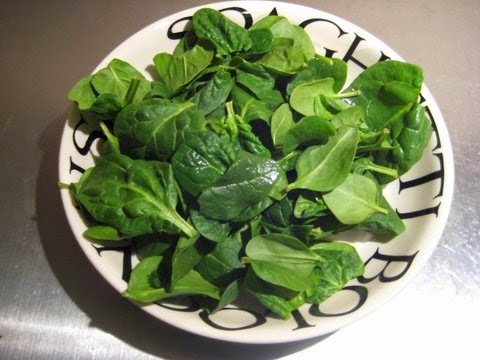 6 Add 2 generous handfuls of fresh spinach leaves to the frying pan you just cooked the mushrooms in. 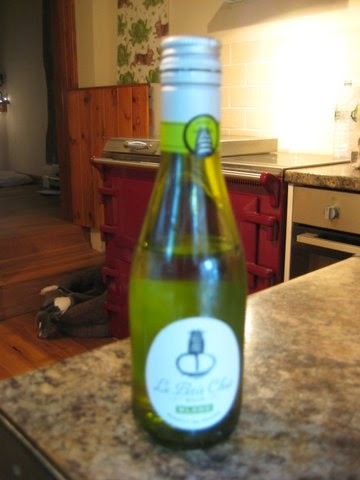 7 Add 2 tablespoons white wine (my fave white wine is le petit chat) because it has not one, but two cats on the label - that reason & that reason alone. 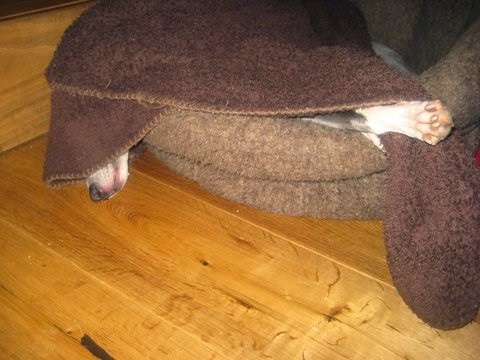 Note Kia (whippet) sleeping in the weirdest position in the background! She always sleeps with her head falling out of her basket - I bought her a new basket, thinking the old one must be too small, but she still does it! 8 stir fry the spinach for about a minute until it's wilted and the liquid has been absorbed. 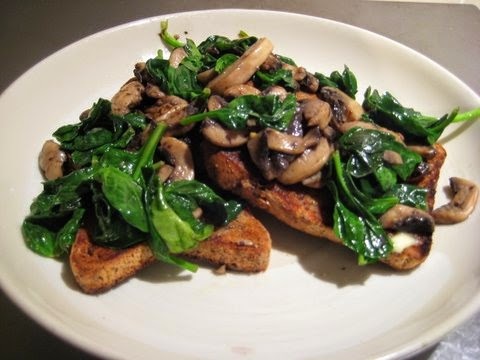 9 spread the toast with the garlic butter, then top with the mushrooms & spinach. Show me a more delicious way of getting 2 of your 5 a day!